There are more than 440 million blogs in the world. Scary – especially if you’re a new writer. Whether you’re a business trying to rank higher in search engines or a passionate writer who wants to share your work, it can be frustrating not seeing the results you want. Find your niche. Find what you’re good at writing, what you love to write about and stick with it. To an extent you’ve determined the purpose of your blog. Ask yourself who do you want to read your blog? Are you provoking conversations? Do you want to give your opinion on hot topics? Are you trying to grow your business? Get SEO-savvy. Once you’ve found the purpose of your blog you need to put yourself in the mind of your reader. What would they search to find your content? Incorporate these terms into your writing. There are many webtools available to find what’s trending on Google and you can use these to monitor. If you’re a business use keywords. Additionally, monitor your competitors, is there a blog that’s done particularly well? Use all of this to your advantage! Utilize social media. You can reach far bigger audiences by posting your blogs on social media. You don’t need statistics to know the easier it is for people to give feedback and share your content, the more likely they will. You can find other bloggers and support each other – the list is endless. 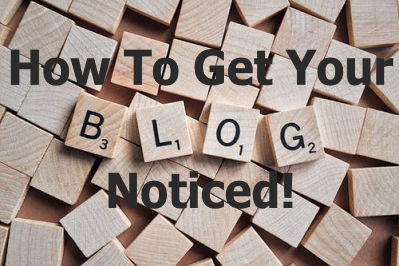 Don’t just put your blog up and hope people find them, use these tips and be seen.